Try to interprete this ECG using the 7+2 step method Look at the consecutive ECGs in this patient. What is the problem that causes the arrhythmia in rhythm strip 2? The first rhythm strip shows sinusrhythm with a severely prolonged QT interval. In total four ventricular premature beats are present on this strip. All fall within the T wave of the previous sinus beat. The second strip shows Torsade de Pointes with a typical short (not shown) - long - short initial sequence. 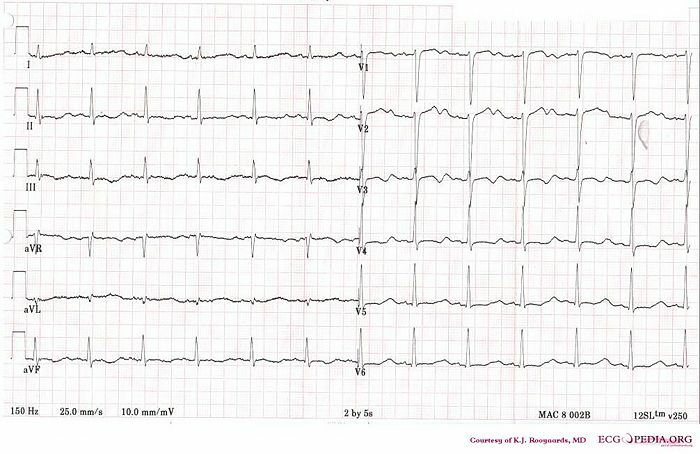 The third ECG shows severe QT prolongation with a stretched QT segment and small T wave, consistent with Type 2 LQTS. 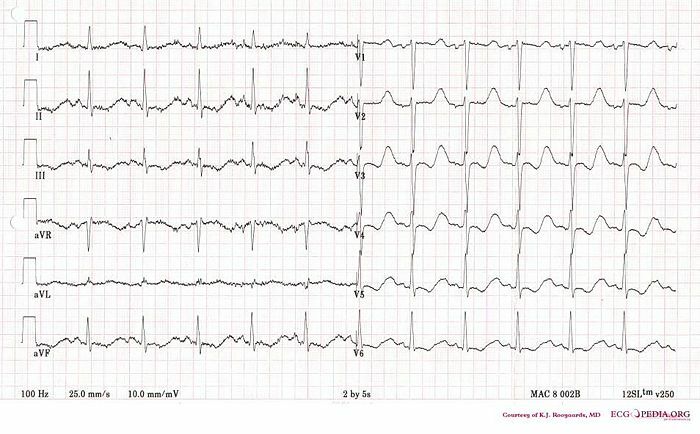 The fourth ECG shows the same patient later in time. This patient was suffering from severe hypokalemia. 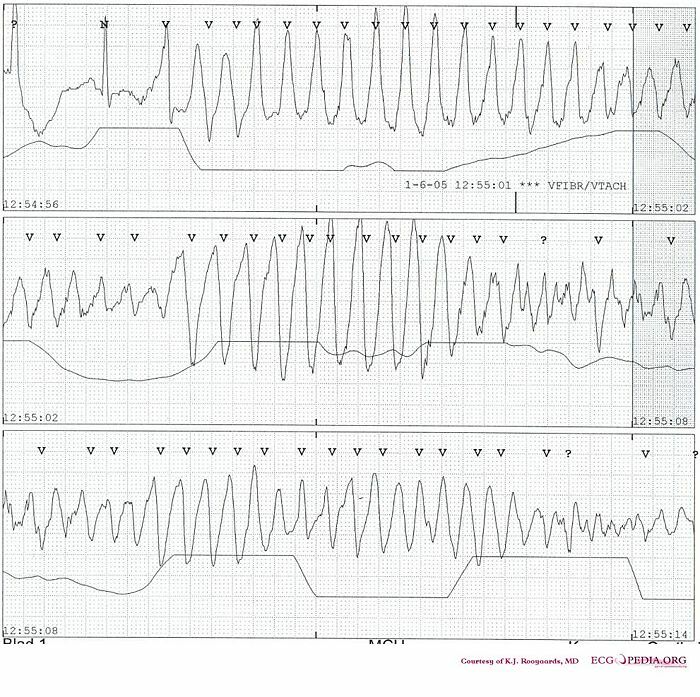 The consecutive ECGs were made during correction of the hypokalemia. This page was last edited on 11 November 2008, at 15:46.